While deciding upon your immigration to Australia, there are a lot of thoughts that race through your mind. Making the shift along with your family is a pivotal curve of your life, as you transition your job, home and living conditions from the country of your birth to a nation alien to you. But so, have, 28% if the Australian population that has been overseas and belong to a multicultural dimension. Australia right from the advent of the Europeans, have become a bed of cultural amalgamation. The impact it has on the local population has been the cultural identities people have carried along with them and made Australia a cosmopolitan hub where diverse culture co-exists in complete harmony. There is a similarity in all the differences. This is the reason Australia has been named as one of the most Multicultural countries of the world, recording the highest share of migrants around the world. Australia Immigration of Migrants results in sustained economic growth, as a result, lifting away the three ‘P’s of population, participation and productivity. But how does the Immigrant Population play an active role in the economy of Australia? To support this, there is a recent report by the Treasury and Department of Home Affairs in April 2018, the immigrants who have flown in to Australia pay more in terms of taxes and consume much lesser in relation to services, making them one of the highest contributors to the growth and development of the Australian economy. This means that the Government of Australia hugely derives benefit from the billions of Australian immigration that have come to Australia in the recent couple of years. This study goes into showcasing that how $6.9 billion are contributed by Permanent skilled residents over their lifetimes, temporary skilled migrants (457 visas) an amount $3.9 billion and family stream migrants a total of $1.6 billion. With a stable fertility rate of 1.9 births per woman which is much below the replacement level, without immigration, the population would as a result of this would dwindle and shift making for very less population. Australia Immigration has supported in keeping the population figures at a steady rate, making life thrive as a result. One of the best impacts of Australia Immigration is that Capital infrastructure is high in fixed costs and low in marginal costs, which would mean it would not that be that costly to expand and renew the infrastructure if the population increases with time. 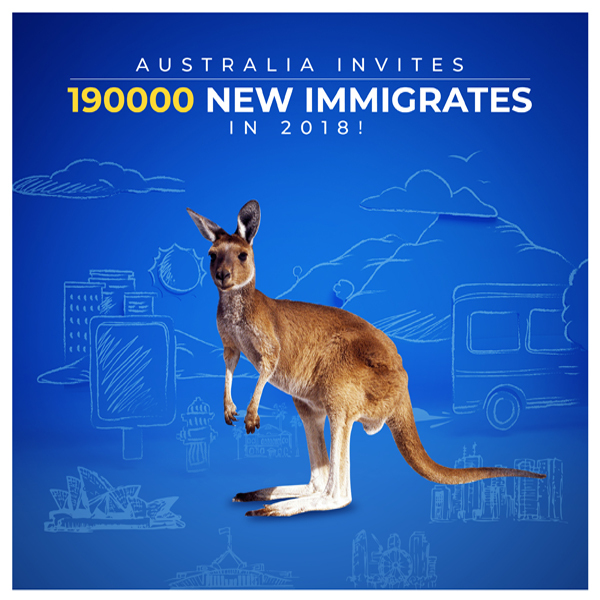 As a matter of fact, the government figures display that at the turn of the century 90,000 immigrants make Australia their residence, which presently stands at 190,000. This has eventually led to a rise 1.8% population in the past 15 years. Where do you found the Australian Immigration influx headed to? Most of Australia Immigration figures show migrants headed to cities like Sydney and Melbourne that house a powerhouse of employment opportunities for people who usher in Australia to find themselves work. I like your way to share the problems of Australia and I also like the way you discuss how the Immigrant Population plays an active role in the economy of Australia. Overall very nice blog to get the knowledge about Problems associated with Australia.